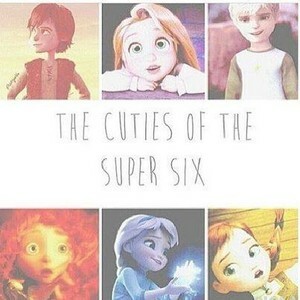 The Cuties of the Super Six. . Wallpaper and background images in the Rise of the アナと雪の女王 メリダとおそろしの森 塔の上のラプンツェル ドラゴン club tagged: photo.